Cedar Hills offers curbside recycling through Waste Management, Inc. Resident participation is voluntary. The service is offered for a low monthly fee of $6.90 for the first toter, and $5.00 for each additional toter. Residents simply put the recyclables inside their blue toter without separating them and wheel the bin out to the curb every other week on the day of their regular garbage pickup. Waste Management will collect recyclables and transport them for processing. Please contact the Cedar Hills city office for information on signing up for the curbside recycling program. No need to throw away those heavier plastic containers anymore. Waste Management accepts all plastics labeled 1-7 in the curbside recycling toters. 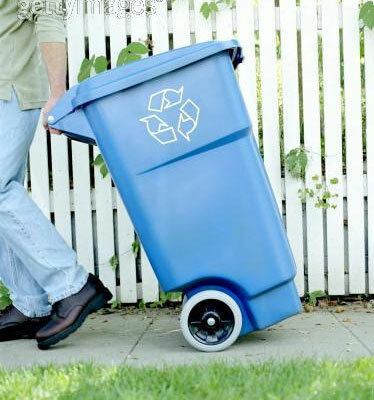 Visit Waste Management’s website recycleoftenrecycleright.com to access additional resources and tips about recycling.